Do you want to deepen, extend or improve your knowledge on circular economy? You can study publications and literature, but you can also follow online educational programs: Massive Open Online Courses (MOOCs). These courses are taught by professors from universities and colleges and can often be followed for free via video clips and assignments. Below you find an overview of current MOOCs in the field of Circular Economy. Is something missing in this list? Let us know. Circular Economy: An Introduction – This curriculum has been compiled by TU Delft in collaboration with the Ellen MacArthur Foundation and the Leiden-Delft Erasmus Center for Sustainability. The course lasts 7 weeks and focuses on researching the design guidelines, business models and new concepts that fit the circular economy. – You can start this course at any time. Circular Economy of metals: Towards a sustainable societal metabolism – This program teaches you everything you need to know about the role of metals in a circular economy. What does the life cycle of metals look like, and which metals will become increasingly scarce in the future? This course lasts 7 weeks and is given by researchers from Leiden University – This course starts on 20th August 2018. Sustainable packaging in a Circular Economy – This curriculum focuses on applying the principles of the circular economy to packaging systems. The program lasts for 6 weeks and has been compiled by various researchers of TU Delft. Learn about new materials and principles for circular packaging systems, business models that support these systems and insights from front runners in practice. This course starts on 6th November 2018. Engineering Design for a Circular Economy – This curriculum focuses on the application of design and engineering methods for the circular economy. Discover and develop sustainable methods to improve the reuse, repair, remanufacturing, and recycling of products for a circular economy. The lessons are given by researchers from TU Delft, Leiden University and the Technical University of Clausthal- You can start this course at any time. Circular Economy in education – This course is taught by Martin de Wolf of Fontys University of Applied Sciences as part of the ThreeC project. The course is intended for educational staff who want to integrate the concepts of the circular economy in their curriculum and didactics. In 4 weeks you will be educated about which competencies are needed in a circular economy and how you can teach them in your field.- You can start this course at any time. New Business Models: Working Together on Value Creation – This course is taught by Prof. dr. dr. Jan Jonker from Radboud University Nijmegen. During this course you will learn how you can shape your own sustainable and new business model. Step by step you will learn how to build the model, test it and apply it in practice. – You can start this course at any time. 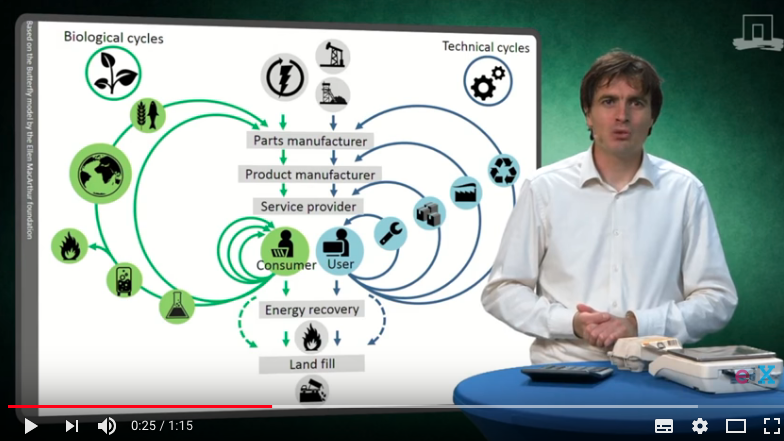 Circular Economy – This course from Wageningen University & Research provides insight into the design of different structures of a biobased supply chain, and indicates how you can choose the best alternative based on a quantitative analysis. This MOOC is part of the MicroMasters Biobased Sciences for Sustainability. – This course has ended and may start again later this year. Circular Design Guide – This online reference book on circular product design methods is an ideal way to learn more about circular design and circular business models. Waste Management and Critical Raw Materials – This course of TU Delft will look at how circular procurement, recycling technologies and more efficient ways of collecting and recycling critical raw materials (CRMs) can make a business and production more resource resilient. The course starts 15th October 2018. Overview made by Het Groene Brein/ Nederland Circulair.